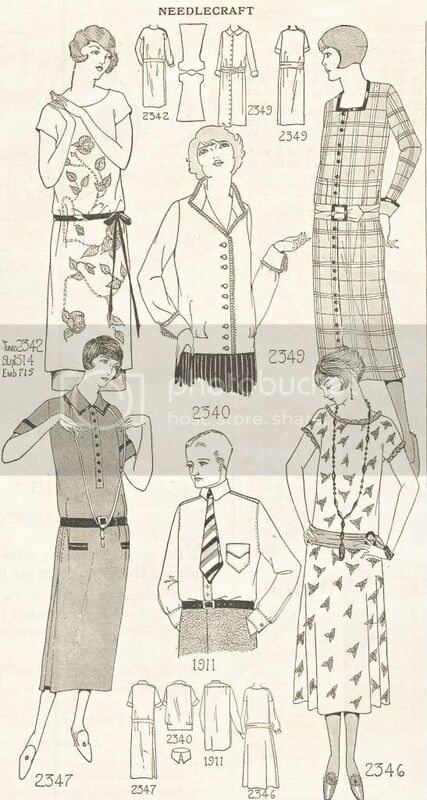 From a graceful era Needlework Magazine shows us several outfits from March, 1925. 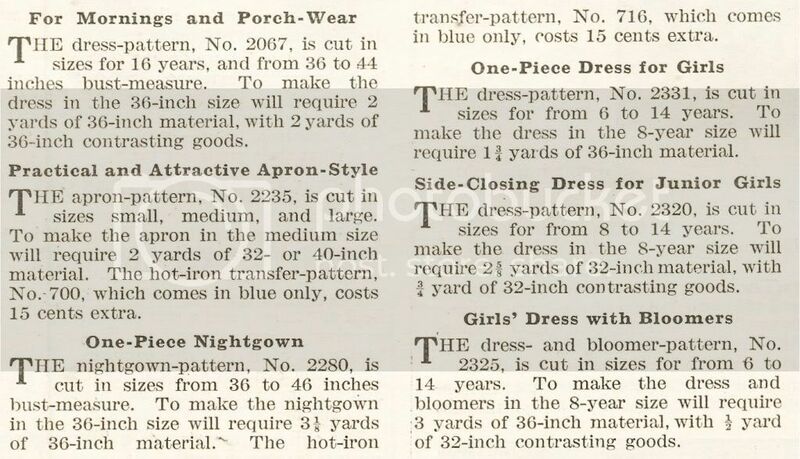 This includes Porch-Wear, a Smart Blouse Thats' Easy To Make, Becoming Lines for the Matron and of course, The Popular Button-down-the-Front Dress. 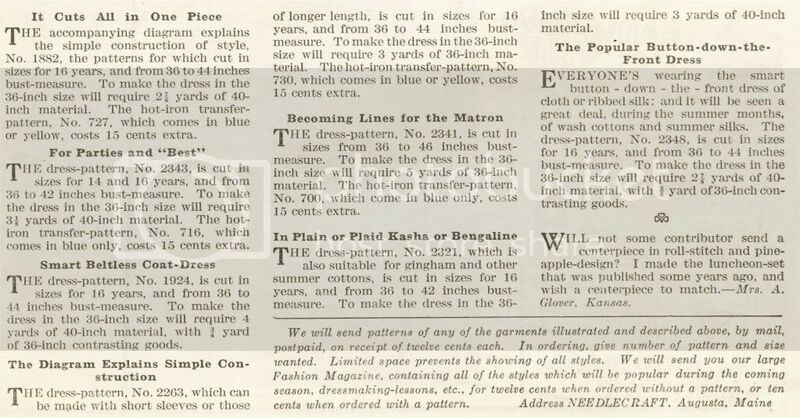 And the patterns were 12¢ each. Our cover girl is wearing a "Boudoir Jacket, with it's Matching Bandeau" it's "Easy to Make, Dainty as a Flower and Altogether Adorable". Wouldn't you agree? Love these drop waist dresses! 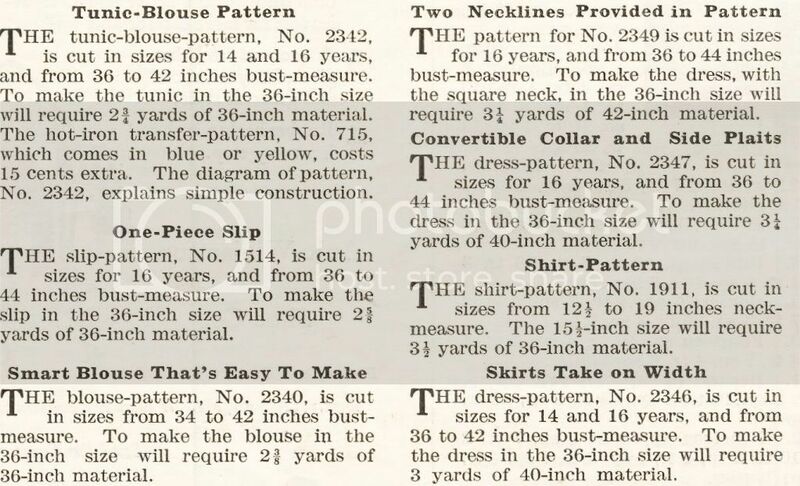 I like the fact that they designated one as "for mornings and porch wear". 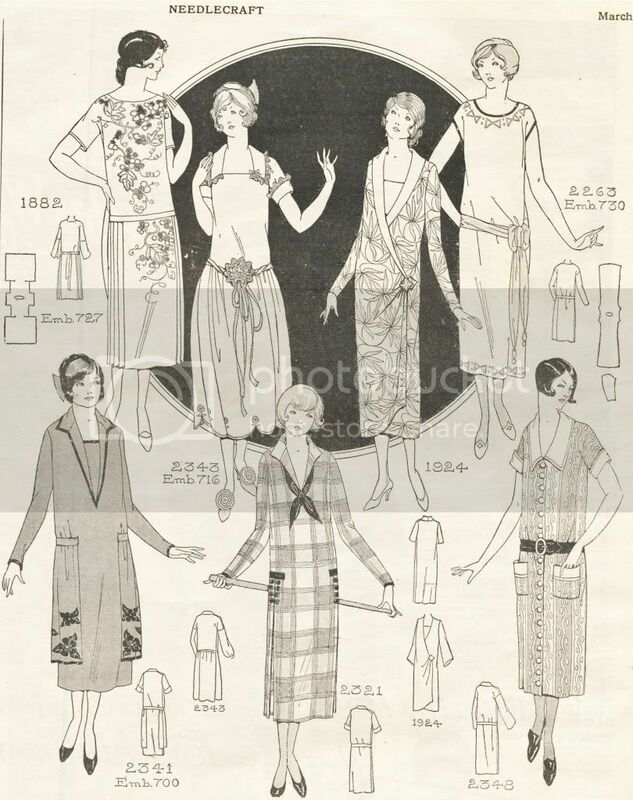 I was noticing that these 'blank canvas' dresses left a lot of room for details, plackets and pleats, lots of hand work. I don't know what short curvy gals (like me) were suppose to wear, but these styles are beautiful for that tall board flat woman. 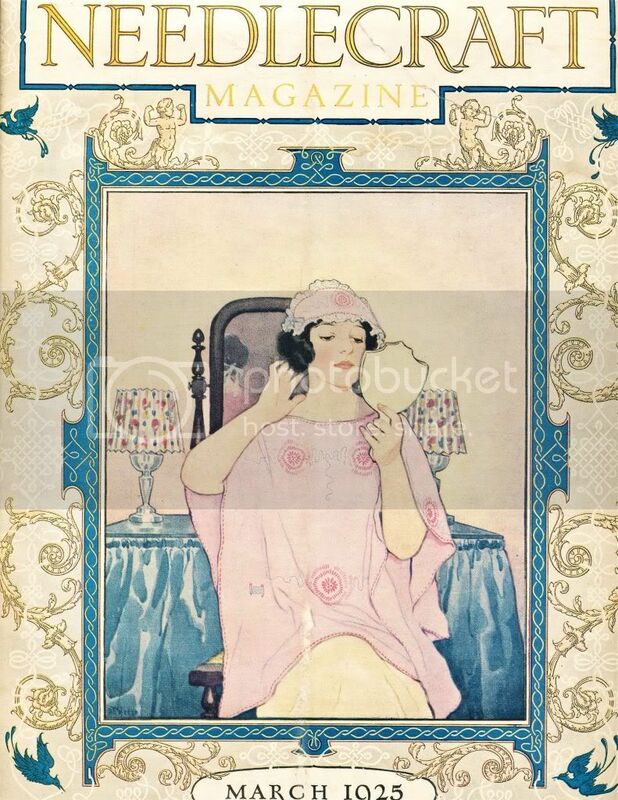 That magazine cover is gorgeous! These are so obviously very easy to sew. 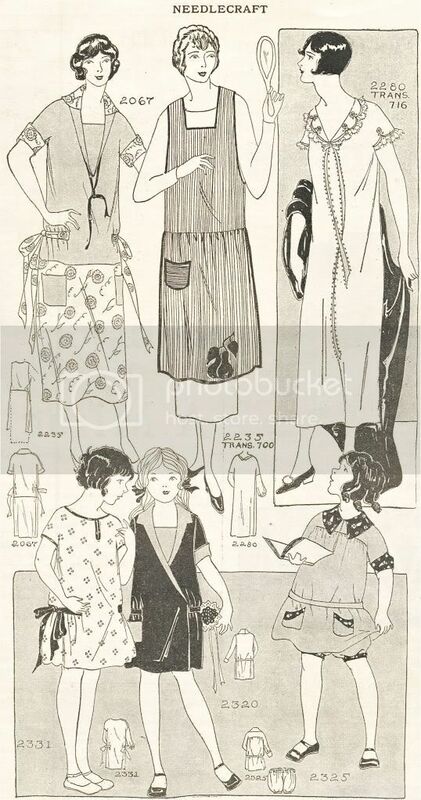 Isn't it interesting that fashion and technology converged during that decade: easy fashion to sew and the newer easy to use sewing machines. It's no wonder that there was a huge explosion in 'home ec' courses for all!